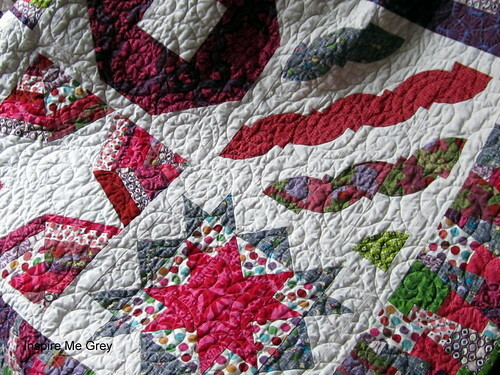 This quilt has been a long time in the making. 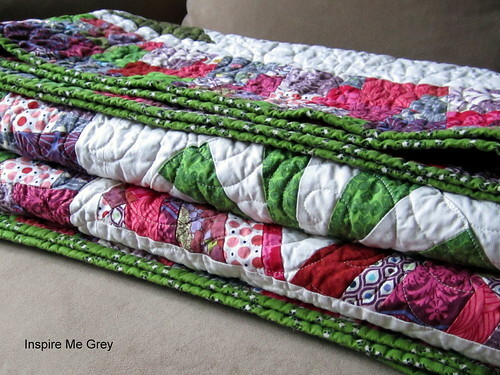 Back in February 2012, I'd finished teaching 2 of my friends the basics of quilting with some simple patchwork quilts for donation, and they were eager for another project. We found the free Craftsy Block of the Month (or BOM) series that was just getting started with instructor/blogger Amy Gibson. For 10 months, the series supplied patterns and instructions for 2 blocks each month -- all different and each one using new skills and techniques. We bought our fabric and got started, meeting after work at each others' homes to work on our blocks together, and I posted most of our finished blocks here on the blog along the way. Amanda went on maternity leave and had to put her project on hold, but Caitie and I kept meeting and eventually finished our 20 blocks. Caitie was the first to assemble her quilt top and begin quilting. I was drawn into some other projects and took a little more time to figure out what kind of border I wanted to add to my quilt. Then I changed my mind and needed more time to actually piece the border, a scrappy variation on Dresden plate wedges. I have to admit that by the time I'd finished my quilt top, I was pretty tired of looking at it and not at all interested in attempting to quilt it myself. 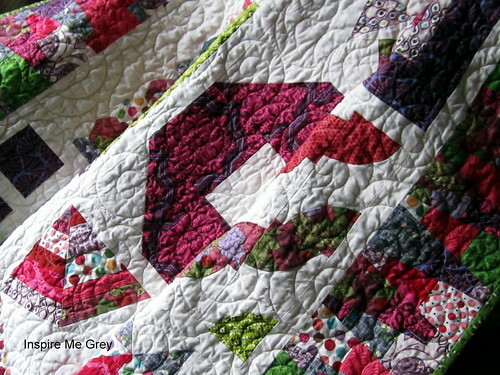 So after letting it hang in my closet for a while, I contacted Melissa at Sew Shabby Quilting. Best. decision. ever. 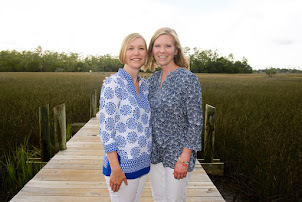 Melissa was great to work with -- responsive, skilled, affordable, and fast. 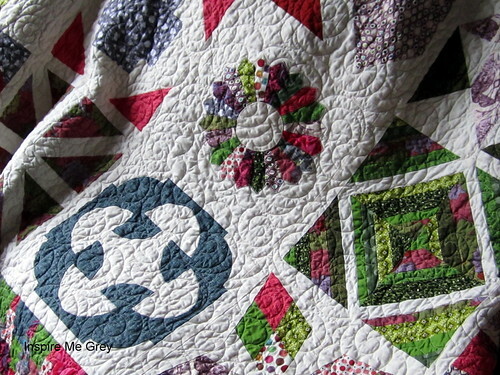 I sent my quilt top and backing to her in Utah and had it back -- longarm quilted beautifully -- in around 3 weeks. I bound it by hand with a green print that I had in my fabric stash (yay for not spending more $! ), and following a spin in the washer and dryer, the quilt that was more than 2 years in the making is finally cozying up my bed, just in time for the chill of fall and winter.